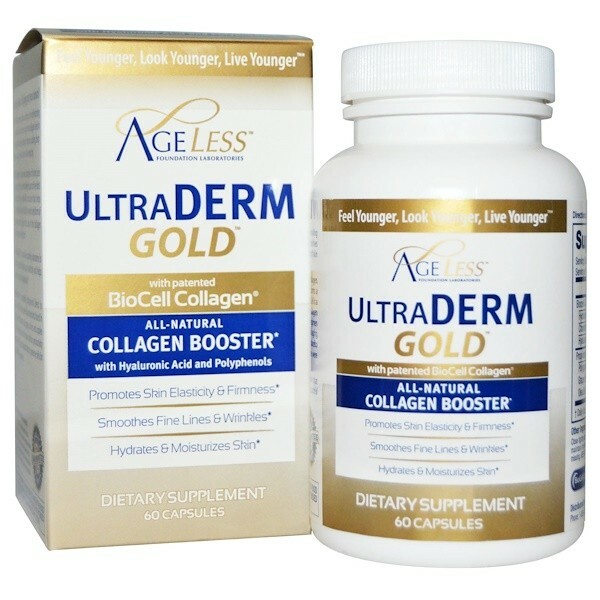 A recent study has shown that a regimen of 1 gram of BioCell Collagen per day may improve signs of facial aging such as wrinkles and lines. In a clinical study performed without a placebo group, global lines/wrinkles measured by a visual/tactile score were reduced on average by 13.2% over a 12 week period. Other IngredientsGelatin, cellulose, magnesium stearate. 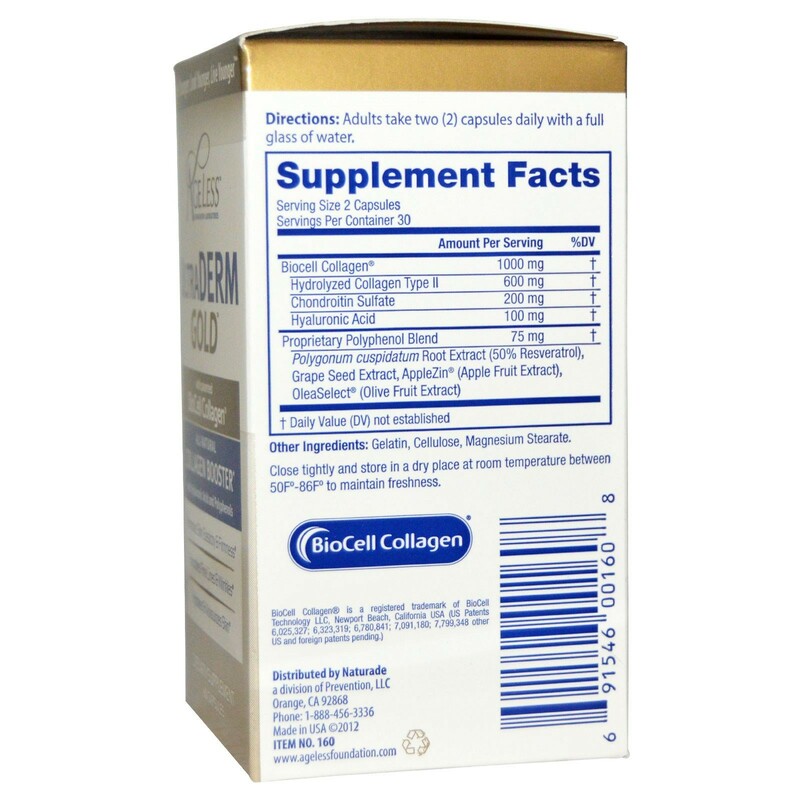 BioCell Collagen: Is a patented complex of hydrolyzed type II collagen. Hyaluronic Acid: Is a naturally occurring substance in your skin. Polyphenols: The proprietary polyphenol blend in UltraDerm Gold contains powerful antioxidants found in the skins, seeds and stems of grapes, olives and apples. All of our products are quality tested to ensure freshness and potency through their expiration dates. Each bottle is freshness and safety sealed with an outer neckband and inner seal. Do not use if either seal is broken or missing. Store in a cool, dry place. 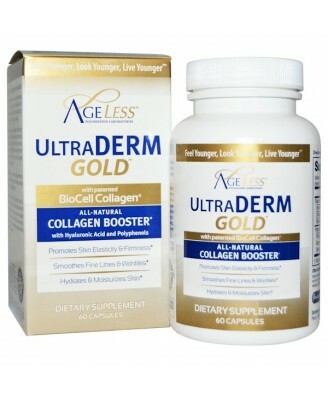 Adults take two (2) capsules daily with a full glass of water. Close tightly and store in a dry place at room temperature between 50ºF-86ºF to maintain freshness.